One of the most talked-about tourist destination sites in the Mediterranean Sea is the Maltese archipelago. It is made up of three islands with several unique features. 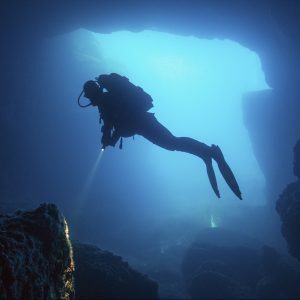 Malta, which is the largest, has some of the best diving spots in Europe. Gozo is renowned for being the home of the mythical goddess, Calypso. The third one is the Comino Island, which has a unique blue lagoon. 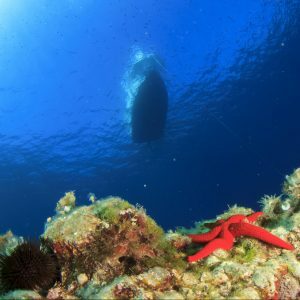 When you visit the Maltese islands, you have to explore the myriads of boat diving sites to experience some of the most exhilarating underwater sceneries. 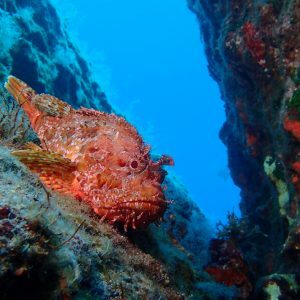 The sites listed in this article offer a variety of features including labyrinthine caves, fantastic rock and reef formations, a variety of marine life, and beautiful shipwrecks. 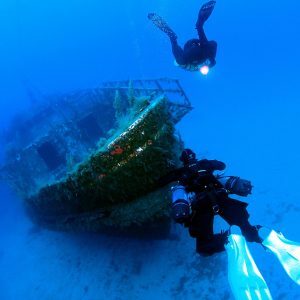 Experienced divers can take the fun up a notch by trying scuba diving Malta at night or deeper to 30-40 meters. This diving site lies a few miles off Mgarr Harbour and is adjacent to the guard post of Fort Chambrai. It is accessible through a narrow route that winds down from the local village of Ghajnsielem. 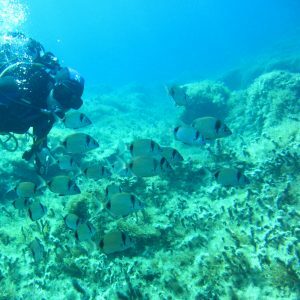 Xatt L-Ahmar is an excellent spot for diving owing to its clear waters and amazing shoreline. 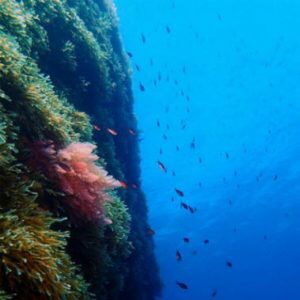 The most common dive sites in this bay are the three wrecks- MV Comino land, Karwela, and Xlendi. 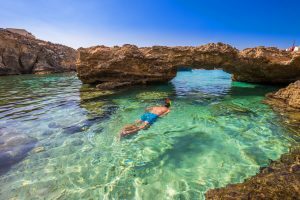 It also has a boulder reef, mysterious caverns, and shallow coves for swimming. The ships in this site were sunk deliberately to create artificial reefs for the local divers. The rock formation in this diving spot provides great shelter for sea octopuses, goatfish, and sea breams. There are also traces of parrotfish, scorpion fish, and damselfish. This diving site lies on the southwestern side of the narrow peninsula of Comino. It is adjacent to the infamous Cominotto or Anchor Reef mentioned further below. The depths go up to 30 metres and contains massive boulders that host a colony of bream and brown meagre. This point has a unique underwater landscape where sardines, bogue, amber-jacks, dentex, and tuna reside. As you can imagine, this offers a unique marine experience. Also known as the Lighthouse Point, Lantern Point is one of the most popular dive sites in Comino Island. The underwater topography consists of a series of tunnels, caves, swim-through, sheer wall, and huge boulders. The maximum diving depth is 50 metres while the shallow point starts at 6 metres. The diving expedition usually commences at the chimney. Just at the shore, there is a hole in the reef which allows several divers to descend at once. Sea fans and sponges decorate the tunnel walls. As you maneuver the swim-through located below the huge boulders, many starfish, giant groupers, and sometimes dentex come into sight. This famous diving site is located at the west end of Gozo near Gharb Village. When visiting this site, the boat anchors on a shallow reef that projects from a sheltered spike off the peninsula. The expedition begins with a gentle dive in 6-metre bay and leads down to huge boulders that house small shoals of groupers and dentex. 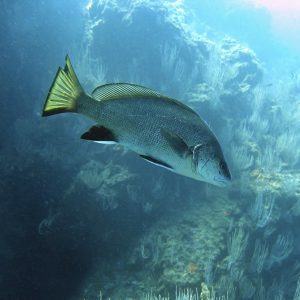 Throughout your dive, you will see several breathtaking schools of amberjacks, barracuda, and tuna. More marine life can also be found in the valley that lies between the base of the reef and the shoreline. 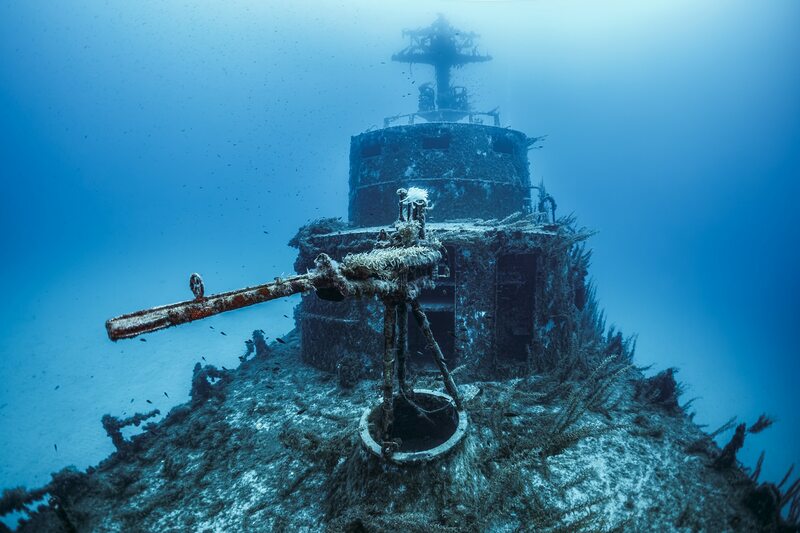 The Imperial Eagle is a wreck diving site located in Qawra, north of Malta. It used to be a ferry that plied the Malta-Gozo route. In 1995, the local divers acquired it and sunk it for an Underwater Marine park project. It currently sits 40 meters deep on its hull just half a kilometre from Qawra Point. The great hold of this wreck remains open creating coves for adventurous diving expeditions. 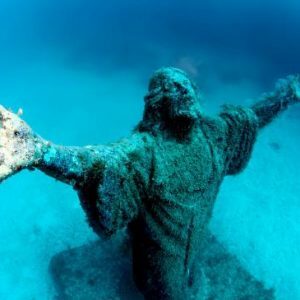 Visitors can also dive to the 40-tonne statue of Jesus Christ which lies at the bottom of the waters near St. Paul’s Islands. The figure holds a lot of historical and religious value as it was blessed by Pope John Paul in 1990 to protect Maltese fishers. This is a vast cavern located to the West of Reqqa Point. The walls of the tunnel have been eroded over time and are currently carpeted by multi-coloured sponges. The route leading to the left of the wall into the cave brings you to a series of large rocks that make up an exciting cave diving spot. The entry point to the Billinghurst cave is located to the right of the cavern north wise from the car park. The dive entrance stretches for about 2 metres after which you begin a rapid descent to the cave located 24 metres deep. The cave has a variety of marine life including soft corals, cardinalfish, and other crustaceans. The blue silhouette created by the sun rays peering from the outer reef is a must-see. The fungus rock, or the Hagret il-general in Maltese, is a massive boulder located on the western shoreline of Gozo. The land-facing side sports a much gentler sloping profile while the opposite side deeps down sharply for up to 50 metres deep. The underwater scenery in this area is just spectacular. There are algae-covered vertical walls, fissures, gullies, and caves that are formed by huge rocks. 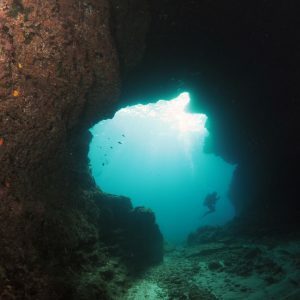 These caverns are home to various groupers, amberjacks, tuna, and barracudas. The rock walls are coated with a variety of sea flora such as sea urchins, sea potatoes, and algae. Species such as starfish, bristle worms, and tube worms can also be seen. Fessej Rock diving site has a unique free-standing rock located 100 metres from the shore on the south of Gozo. The tip of this pinnacle measures 15 metres in length while the sunken part goes up to 50 metres deep. The dive offers a variety of overhangs and crevasses, home for small fish and octopus. It is advisable to approach the dive in an anticlockwise direction along the circumference of the rock. This way, you will access the deeper side where large groupers, bream, barracuda, and tuna swim. 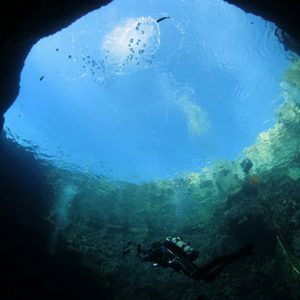 This scuba diving Malta site formed by massive boulders that create gaping caverns and tunnels. The caverns form sheltered locations where sea organisms like peacock worms and burrowing anemones reside. The site earned its name, “Anchor Reef,” from the numerous anchorage sites that project between the wall reef and the drop-off points. During the dive, you can see dentex, bream, and scattered groups of Posidonia. Also known as the blue hole, Dwerja Point is one of the most exciting diving sites in the Maltese Islands. It contains a series of large and small boulders that create caves and arches under them. The cave walls are covered with colourful sponges, tubeworms, and several other marine florae. Dwerja Point has a small inland sea which connects to the main sea via a spectacular 35-metre tunnel. There are also gullies in this tunnel created by boulders. Amongst these boulders are numerous marine species. 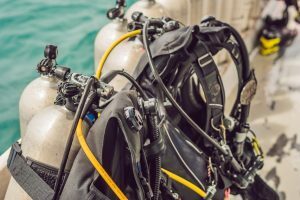 Before you go diving, make sure you check out these diving tips!